We have emerged in offering our valuable customers a wide array of Link Chain Bending Machines. 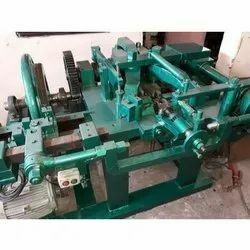 These bending machines are manufactured following industry set guidelines employing advanced technology. Besides, we make sure that the consignments are timely delivered at clients’ destinations using easy shipment modes. Link Chain Bending Machine for manufacturing link chain ranging from 4mm to 12 mm. All our products are manufactured under the close supervision of experienced professionals using excellent quality material. 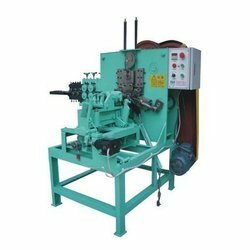 These machine are offered by us in variegated specifications as per clients' requirements. - The link chain bending machine is used for making chain links from MS wire. These machines have advanced technology implemented and deliver excellent performance. Thus, superior finish in chains is achieved each time after processing. We are engaged in offering Chain Bending Machine. Banking on our enriched industry experience, we are able to supply Chain Bending Machine.